Cst. 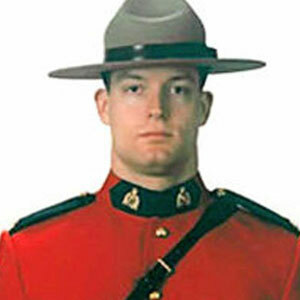 Brock Myrol was killed on March 3, 2005 on the property of James Roszko, 11 km north of Rochfort Bridge, northwest of Edmonton near the town of Mayerthorpe, Alberta. Cst. Myrol was shot and killed, along with RCMP Constables Peter Schiemann, Anthony Gordon, and Lionide Johnston, while executing a property seizure on the farm. The Mayerthorpe incident was the worst one-day loss of life for the RCMP in 100 years. Constable Myrol had graduated a month before from the RCMP Academy, Depot Division. He had been on duty only 17 days.